Ah, the wonderful synth. Used to excess in the 80’s, forgotten about in the 90’s, and coming back in a big way ever since. I absolutely love how a well-thought-out synth can open a chorus up or add some mystery to a song. But the tough part about mixing synths is that they can very easily sound A) Cheesy B) Too thin and horrible or C) Too big and horrible. Late last year I finished mixing the new single from dark-rockers New Breed. Their song “City of Pain” featured a really well done synth counter-melody in the choruses underneath the vocals. This is the sort of track that doesn’t need to be at the absolute forefront, but definitely needs to be heard while staying out of the way of the vocal melody. Take a listen to their song so you can here what I’m talking about. The synth starts in the chorus at 1:57. A few things are happening here. First, I used a stereo imaging plugin to mess with the phase a bit and to “spread” the stereo image. 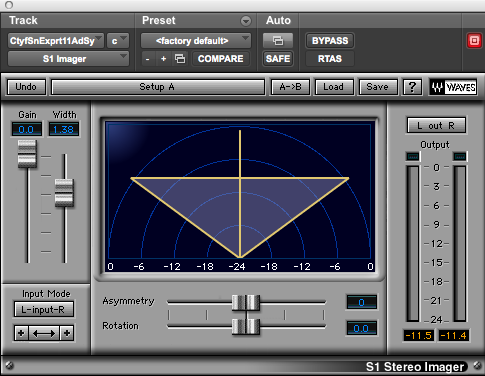 I find that you can get away with more of these stereo spreading phase plugins on synth tracks. What might start to sound a bit funky (especially in headphones) on guitars or drums could sound great on synths. Next in line was an EQ. Here there is mid-range and high shelf boosts to help it cut through the track. Notice how it’s aggressively high-pass filtered in order to cut any and all mud from this track. Synth tracks can take up a LOT of room if left to their own devices. Especially if you have several of them. Don’t be afraid to cut the mud. From there, it goes to a stereo spreader for more width. Check out an earlier post describing this process. And then a short delay for depth and even more width. This delay is using this trick to make it even wider (notice a trend here?). And just like that, a wide synth with no mud that sits nicely underneath a vocal and big guitars. Notice that there are no heavy moves here. 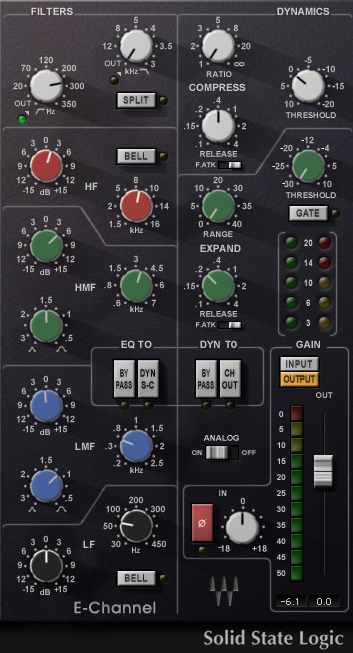 The biggest EQ tweak was that 5db bump in the mid-range. Otherwise, it’s just a lot of small changes that add up to the finished product. Don’t go Superman on your tracks if they don’t need it! That’s it. Simple and straightforward, but highly beneficial to the song.